Do you remember Perry Williams? 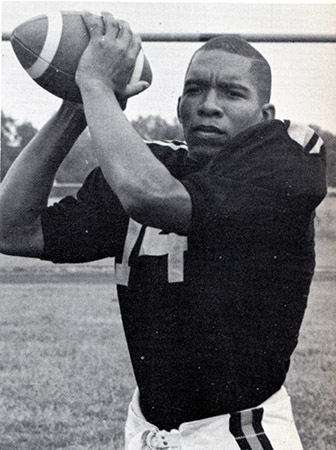 Perry Williams graduated in 1965 and was inducted into the Hall of Fame in 2016. 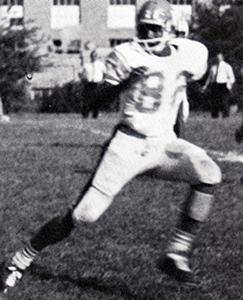 Perry attended Withrow from 1961-65 and was a three sport varsity letterman (3 in football, 1 in basketball and 2 in track). It was football that paved the way for a scholarship and three successful years at Purdue University and six years in the NFL. As a Sophomore at Withrow, he played defensive end and then moved the next two years to the offense playing both running back and quarterback. He was a guard in basketball and a miler in track. Perry was a two-time 1st Team All Big Ten running back and the leading rusher in Purdue’s 1967 Rose Bowl 14-13 victory over USC. 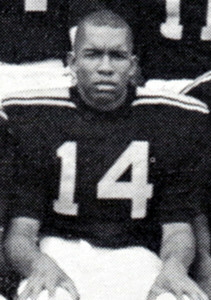 The Green Bay Packers selected Perry in the 4th round of the 1969 NFL Draft. His NFL career resulted in five years with the Packers and a final year with the Chicago Bears. In total, Perry played in 83 NFL games, rushed for 547 yards and 2 TD’s, and had 37 receptions for 285 yards.